Best known for it’s ski resorts, outdoor activities and high cable car and as the mountain host for the 2010 Winter Olympics the area around Whistler in the Southern Coast Mountains of British Colombia also has a fascinating historical and cultural story to tell drawing adventurous spirits from all over. The Squamish and Lil’wat First Nations people have inhabited this area of scenic beauty for thousands of years drawn by the hunting and gathering opportunities as part of their nomadic lifestyle. 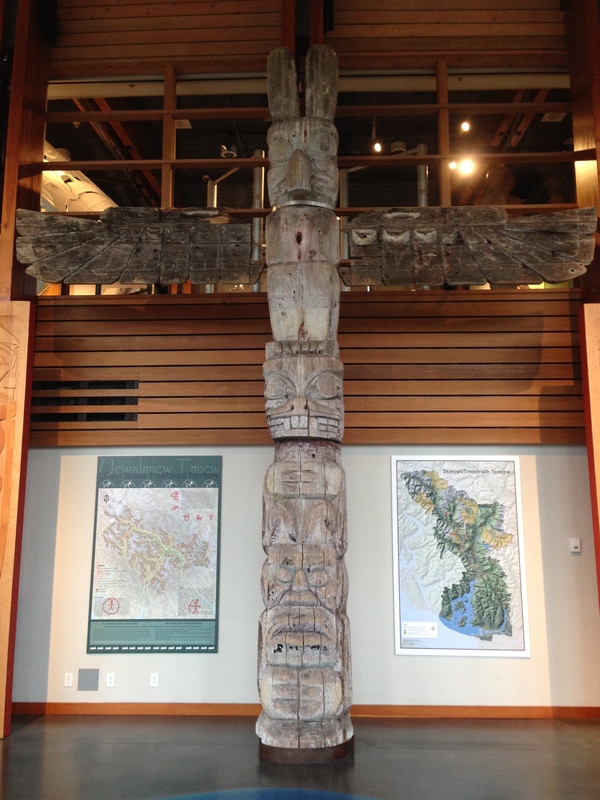 Today they have joined together to share their cultural past through their Cultural Centre in Whistler Village. The Squamish’s lands spread from Vancouver up the coast to Alta Lake with the Lil’wat lands spreading from Alta Lake into the mountains and towards what is now Pemberton. Both peoples lived peacefully side by side for generations trading and inter-marrying but have retained their own cultural identity. The Squamish were primarily a coastal people while the Lil’Wat were mountain people thus their canoes have differing designs for either sea or rivers and lakes but their canoes are all made from the abundant cedar wood from the forests around them. Weaving was a key skill for the women of both peoples: the Squamish woman were renowned for their mountain goat wool weavings and the Lil’Wat women for their weaving with cedar bark. The cedar bark was harvested from the numerous trees around them but only one strip would be removed from a tree to ensure that the tree did not suffer. 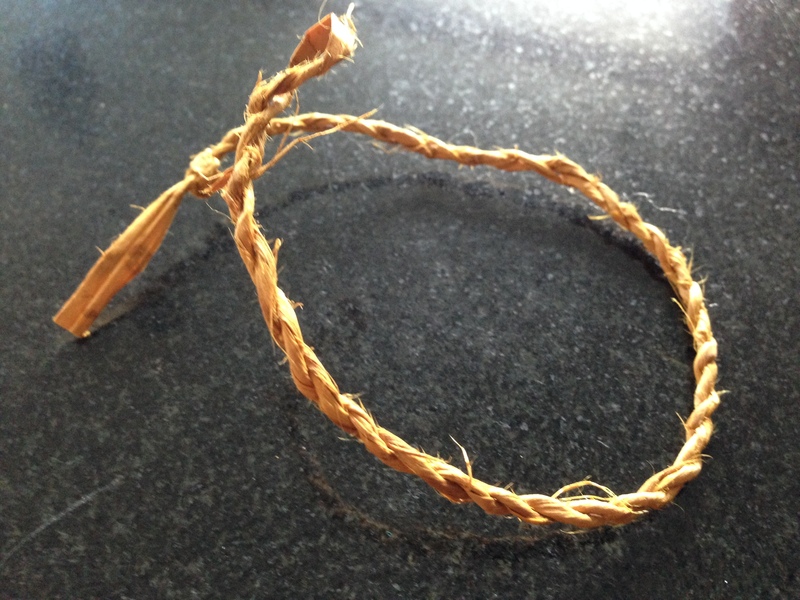 As part of the tour at the cultural centre, I got to make a cedar bark bracelet. The strip of inner bark had been soaked and gave off a wonderful smell. By twisting the bark in the right direction a simple rope could be made, a technique used by the Lil’Wat peoples for generations. Carved wood figures were used by many First Nations peoples in North America to mark territories. Carved in cedar the totem poles of the Squamish and Lil’Wat told a stories through the images carved into them. Each artist had their own distinct style which was useful when this totem pole was found near Vancouver sitting amidst some trees. Some of the Squamish elders were able to identify who had carved it and for whom from only a description. The pole is about 80 years old. The animals carved into the totems have been identified by the First Nations peoples with different months of the year. 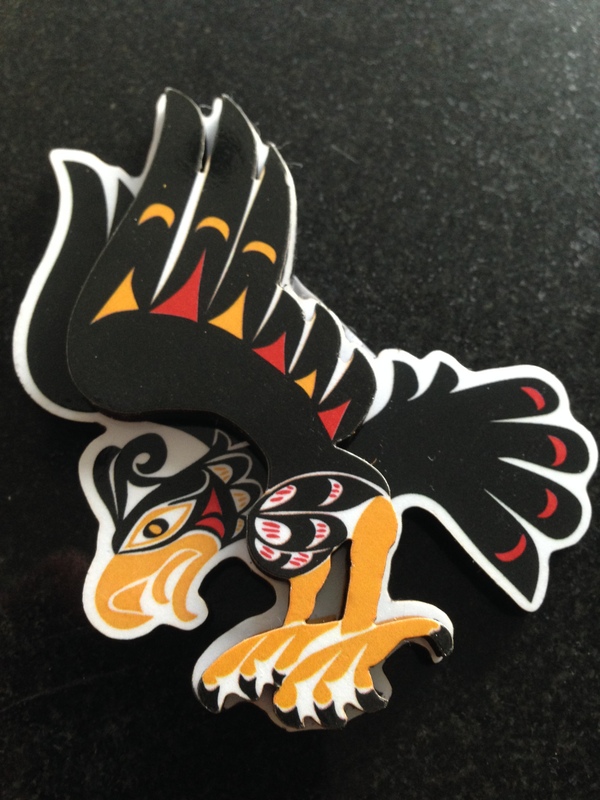 My birthday animal totem is the Hawk. It is said that the Hawk is a natural born leader who can always be looked upon for clear judgement in sticky situations. Hawk’s never waste time but rather strike while the iron is hot and take action in what must be done. It is said that those born under the Hawk are adventurous and assertive along with being creative. Sound like me? European trappers and prospectors first settled in the area around Alta Lake in the 1900’s. The story goes that Whistler got it’s name due to the sound made by the hoary marmots who live among the rocks. When the Pacific Great Eastern Railway’s line was built to Alta Lake in 1914 connecting it to the the outside world it became a base for logging and mining. 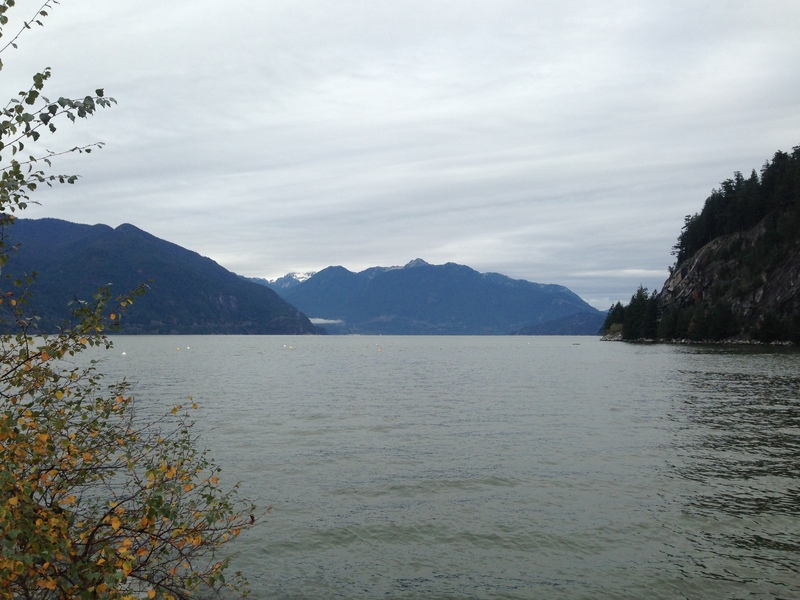 With it’s abundant salmon stocks the area became a popular summer resort destination but it was not until a gravel road to Squamish is built in the 1950’s through the mountains lining Howe Sound and then a single track road to Whistler in 1964 that winter travel became possible. The road to Whistler was extended due to a plan to develop the area into a site to host the 1968 Winter Olympics chose London Mountain (now called Whistler) as the perfect venue. In 1966 Whistler opens for skiing and gradually the road connecting it with Squamish is improved. Whistler Village was built in the late 1907’s to service the summer and winter tourism trade which was to expand greatly with the opening of Backcomb Mountain making the area one of the largest ski resorts in North America. Finally in 2003, after many attempts, Vancouver won the bid to host the 2010 Winter Olympic games with Whistler as co-host for the mountain events. Although all was well and all events were on time there was cause for concern when a particularly warm winter left the Whistler and Backcomb slopes with very little snow for the Winter Olympics events. Snow was brought in by trucks from higher ground and snow machines were used to ensure that there was enough just incase the snows did not come in time. The irony of it was that the East coast of America were experiencing some of the worst snow storms ever. 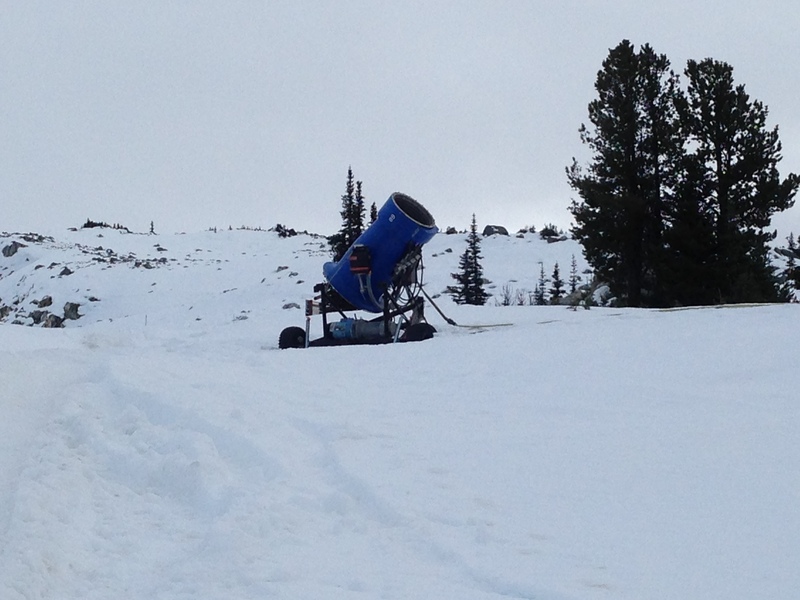 Today there are snow machines dotted around the slopes just in case a little extra is needed at the start of the season. It was not until 1800m that we saw snow at the beginning of November and with the ski season due to start on the 24th they may be in use fairly soon. However, the temperature needs to be below freezing to justify the use of the machines or the danger is that the precious snow will melt quickly away. The road from Vancouver to Whistler may have been torturous and for only the most hardy and adventurous when those first trappers and prospectors built their lodges. Today it takes just 2 hours on Highway 99 or the Sea to Sky highway which has been named as one of the most beautiful drives in the world. It leaves Vancouver via the Lions Gate bridge and hugs the Howe Sound. 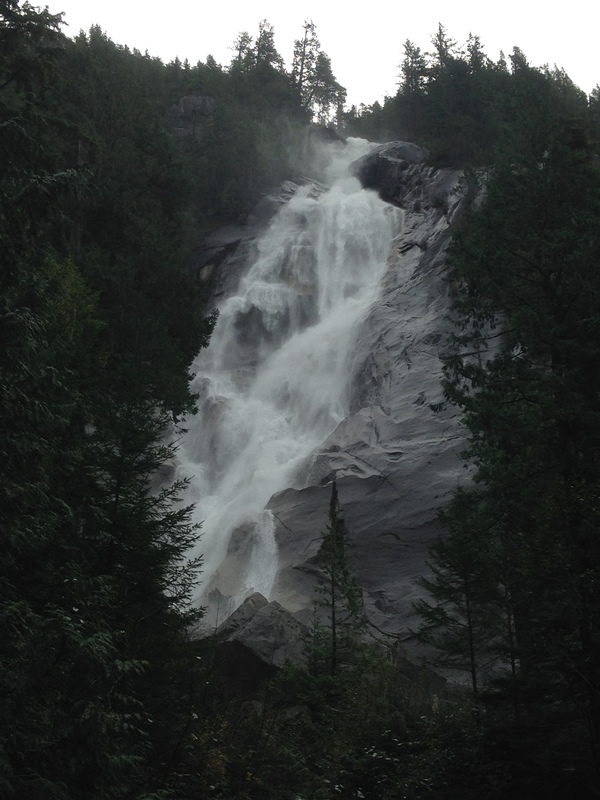 It then follows the path of the Cheakamus River and we stop to admire the Shannon Falls comprised of a series of cliff faces rising 335m above the road. Past the 700m granite dome Squamish Chief mountain and on through Squamish village. The road carries on along the Cheakamus River to Daisy Lake. A man made reservoir on the course of the Cheakamus River providing the water for Whistler Village. 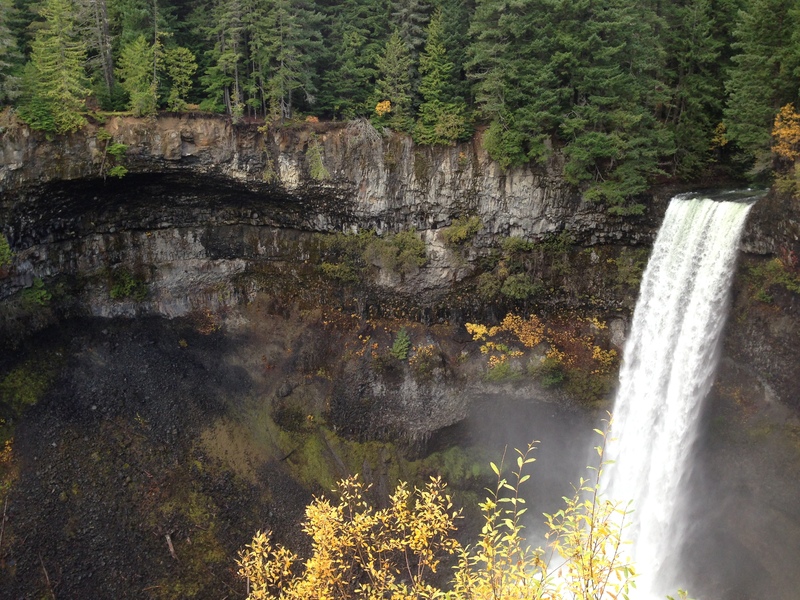 At the head of Daisy Lake lies a dramatic gorge with the waters of the unusually named 70m high Brandywine Falls fed by the nearby glacier. The name is believed to come from a wager between two surveyors over the height of the falls with the closest guess winning a bottle of brandy wine. There is another story about two men passing out at the falls after drinking too much brandy wine in their tea! Whatever the story the falls are dramatic as is the view down the gorge to Daisy Lake and beyond. 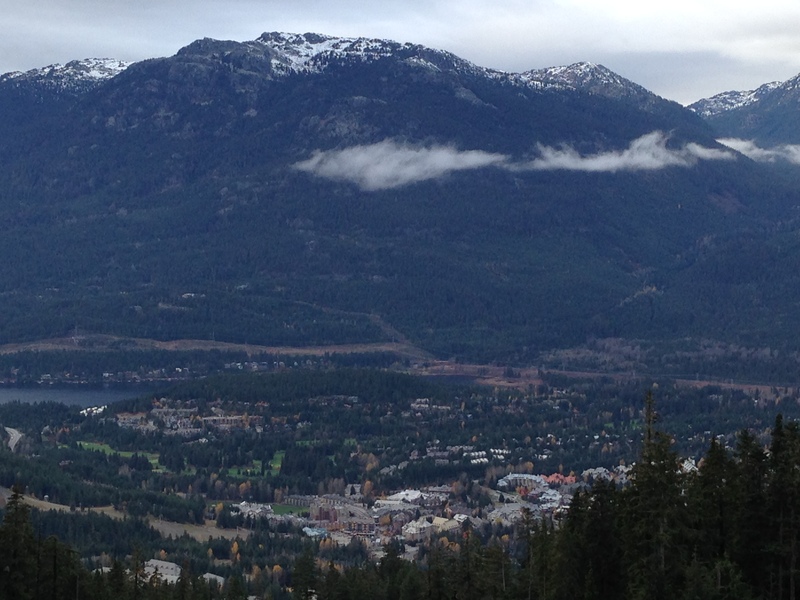 The First Nations people of this area call Whistler the place where rivers, mountains and people meet. This is never more true than during the winter season when multi-national seasonal workers descend on Whistler Village to support the ski industry. Many come for a few months and stay on enchanted by the area. Finding accommodation is the greatest challenge as our guide explained and it is not uncommon for several people to share a small flat. When looking for work often the question if they have somewhere to live can be a deciding factor. 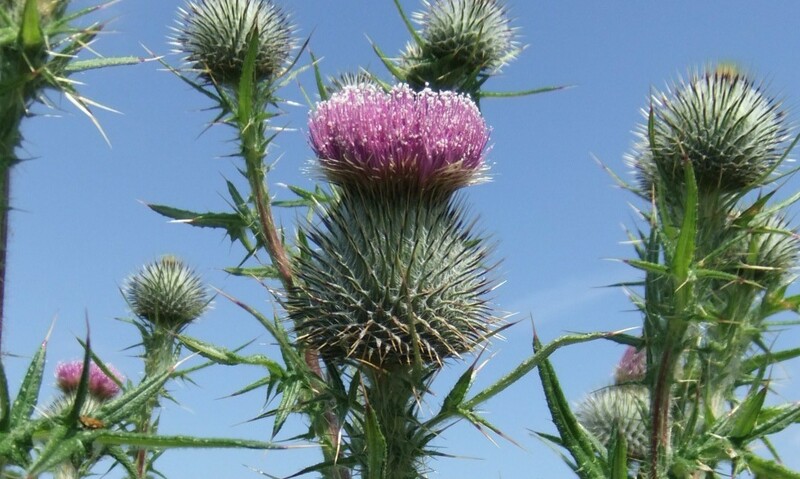 With such an array of outdoor pursuits on offer it is hardly surprising that even today it draws adventurous spirits but from an even wider distance. 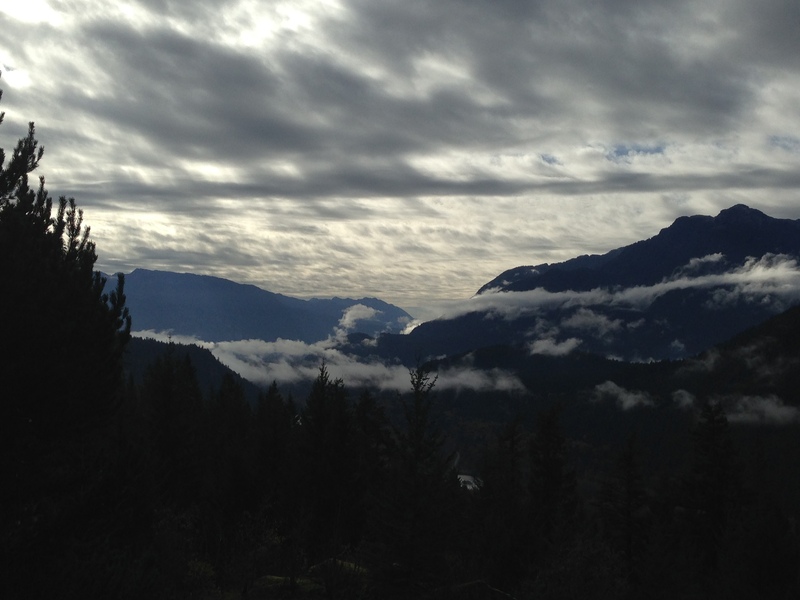 This entry was posted in North America and tagged adventure, First Nations, ski, Sky to Air highway, Squamish, whistler on November 10, 2014 by janemgardner.